Are you the one who loves to browse anonymously on the internet? Do you wish to cross the barriers imposed by your ISP (internet service provider) on some of the websites? If Yes then we have a perfect solution for you. Yes, you have heard it right! We have an amazing solution for you to stay anonymous and protect your online privacy. The world’s fastest VPN – NordVPN lets you access any website that exists on the internet and that too anonymously. Apart from this, it protects your entire network from any online threat through its advanced security algorithms. Let us explore more about this feature-rich VPN and best VPN service called NordVPN. So, are you ready to know what NordVPN is and how to use NordVPN VPN Service for browsing the Web anonymously? Here we go. 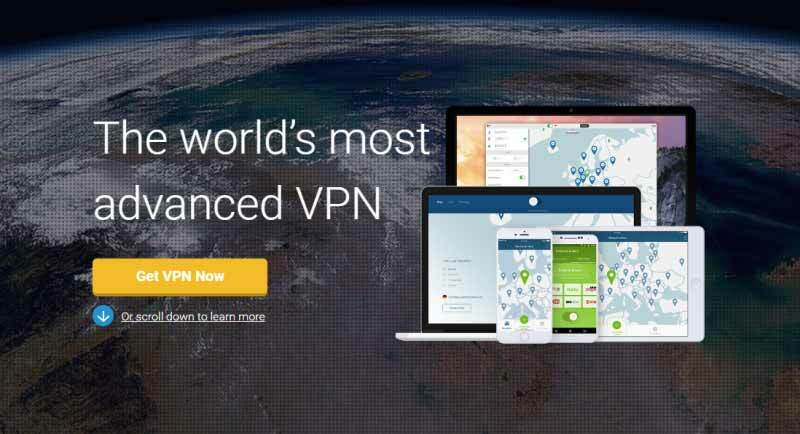 NordVPN, the Panamanian Company is the fastest VPN around the world which makes use of advanced military-grade encryption to secure the vital data which is transmitted on its server by the user using its VPN connection. The low ping times of its server will surely impress you. The high traffic has no impact on its server as they perform optimally during this scenario. 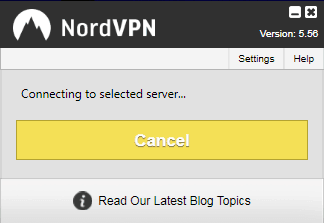 All the servers of NordVPN are idealistic for browsing. If you are the one concerned about your privacy and personal protection then go with NordVPN. First of all, Download NordVPN Client. Extract the downloaded file to your desktop. 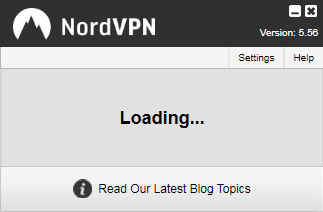 Click on the icon to install the NordVPN Client and you will see the following screen. Enter your details (username & password) and log in the account. 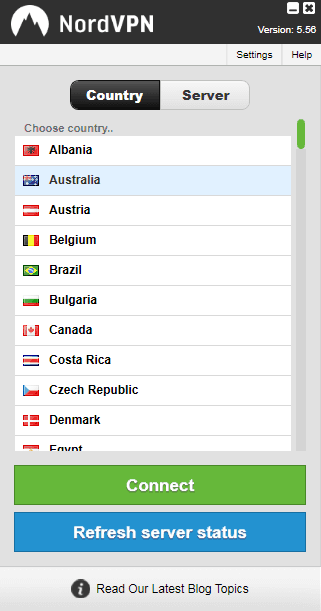 Click on the ‘Connect’ button after selecting the country you wish to connect from. You will see the following screen while getting connected to the server of your choice. After the connection is successful, you can see the following screen. The screen will show your IP address and also the ISP location. You are allowed to change or disconnect from the server. Once all these setup are done successfully. Now, you can browse anonymously over the web through NordVPN’s highly secured servers. Double Data Encryption: NordVPN’s double data encryption technology encrypts the crucial data twice. This is the tightest level of security across the internet. It is only presented by NordVPN. Lightning Fast Speed Servers: It has a total of 621 servers in the 52 countries of this globe. Its network is expanding continuously and spreading at different locations. All continents are covered excluding Antarctica. The speedy browsing will definitely impress you if you are using NordVPN. Easy Setup: You only need to create an account for setting up the VPN connection on your laptop/PC. Buy the VPN plan according to your requirements. Once you have paid the amount, download the NordVPN client according to your system and follow the steps mentioned above for setting up the VPN. No Log Policy: NordVPN is not from the one’s that keep the customer logs and falsely claims that they are not doing so. 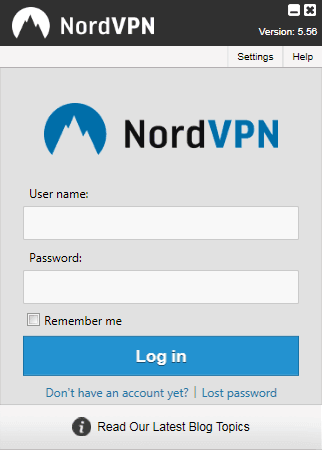 You can feel safe and secure while browsing on the servers of NordVPN. It follows a strict ‘No Log’ policy under which it doesn’t store any log. Your identity will remain completely anonymous and the browsed sites data will not be stored. Multiple Devices Supported: You are allowed to connect to different devices through on NordVPN. It lets you connect to 6 different devices at a time including smartphones, tablets, and routers. The problems like connection lost or any delay will not be experienced. You will also be provided with the list of around 3000 free proxies. Multiple OS Supported: It supports most of the popular OSs including Android, Windows, iOS, Mac, and Linux. The apps for iOS and Android devices are coming very soon. Its web proxy extension is available for the Google Chrome browser. DNS Leak Resolver: The DNS server might send an unencrypted query outside the VPN tunnel at few occasions. This happens with few of the VPN providers. The NordVPN’s DNS leak resolver prevents any such leakages and keeps all the DNS queries well protected. Automatic Kill Switch: There are chances that the VPN connection gets lost in between. The automatic Kill Switch technology of NordVPN shuts down any site or software instantly, which is specified by you earlier. So, don’t worry about any sensitive data loss. P2P Supported: Few VPN providers throttle the p2P traffic, but this doesn’t happen in the case with NordVPN. You can download & upload the date at appreciable speeds without any difficulty. User-Friendly Support: The support staff of NordVPN is always at the front to provide help to its users. The users get the support through live chat and even through the email tickets. It has a professional support staff to handle the user queries and solve most of them at their end. The support is provided throughout the year endlessly. Payment Choices: It even provides you with a couple of choices to make you do the payments flexibly. You can make the payment through credit card, WebMoney, PayPal, Paysera, and also through Bitcoin. These flexible payment options are appreciated by most of the users. NordVPN has three different packages to offer to its users. The plans are starting from $5.75/month. Here are its plans for all the users. Simple: This plan costs $11.95/month to the user and is billed for each month. You are offered all the major benefits under this plan. Standard: This plan costs $7.00/month to the user and is billed for half-year. You are offered all the major benefits under this plan. Best Offer: This plan costs $5.75/month to the user and is billed for each year. You are offered all the benefits under this plan. The user can check out all the benefits associated with the plans and buy any of them according to the requirement. The payments once made are liable for refund under 30 days of purchase only when you don’t find the plan as per the mark. You can also try its free trial package to test its plan and find out the quality of its services. NordVPN is the top-rated VPN providers and the best in the world. The feature-rich VPN servers protected with high-grade security makes the users trust its services. You can access any site that exists on the internet using its VPN servers and that too anonymously. It perfectly hides your entire identity and makes sure that your system stays away from any malicious threat of spy attack. If you haven’t tried its VPN services yet then this is the high time to try it once.